Your BlackBerry can make you a better businessperson. You can work on documents wherever you happen to be, keep all your business contacts straight, and even network — all by using these BlackBerry apps. With DataViz’s Documents To Go Premium Edition installed on your BlackBerry, you can perform edits on Microsoft Word, Microsoft Excel, and Microsoft PowerPoint files or rename them. You can also create files and save them in the native formats for those programs. Key to the value of Documents To Go is the InTact Technology, which promises that any editing done to your files on your BlackBerry will work when the same files are displayed and used on a personal computer. Another feature, added to the most current versions, is support for password-protected files. Word To Go: Open, read, and edit files created in the latest version of Microsoft Word. *Sheet To Go: Supports 111 Excel functions. You can sort data and apply cell formatting. 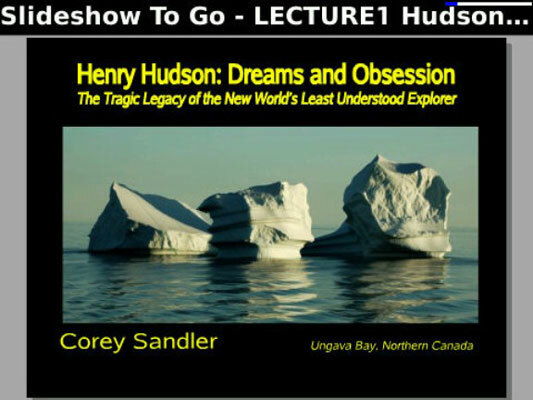 Slideshows To Go: The weakest of the group because it does not display most animations, timings, and special effects incorporated into PowerPoint presentations. It works best when there’s one image or one page of text per slide. Business Card Reader (BCR), from Shape Services, uses the autofocus camera in current advanced models of the BlackBerry to digitize an image of a business card and then applies the proven optical character recognition of Abbyy software to “scan” the image. 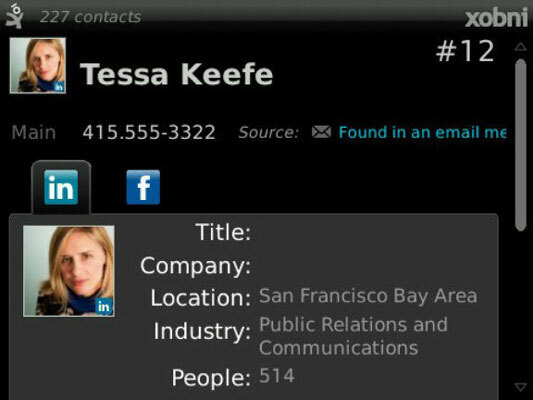 The result is data that’s then fed into the built-in contacts application on your BlackBerry. This app works quite well on a simple card that uses just text and is logically designed and cleanly printed. The problem comes with artsy cards that use fancy typefaces and unusual designs. The more complex the business card, the more likely BCR will misread some characters or erroneously assign a category. Proofread the scan against the actual card. Watch for number 1s that are read as letter ls, for example. Be on the lookout for company names that are rendered on the card as fancy graphics and ignored or mangled. In other words, use Business Card Reader for the first pass and your own eyes as the second. 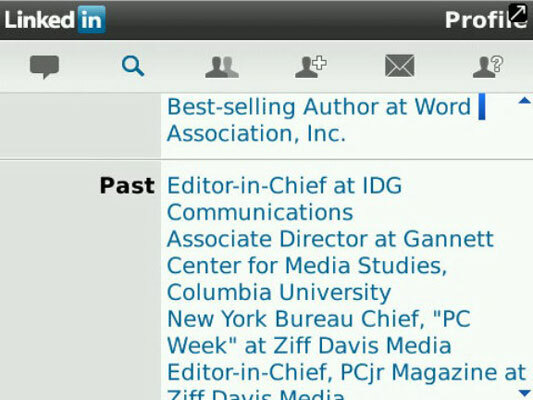 LinkedIn is the business equivalent of a social network. It’s a community in cyberspace where you seek to market that most important product: you. The BlackBerry version of the site gives access to a reduced set of features. Membership is free (as are the computer and BlackBerry portals to the service). When you join, you create a profile that lists your job titles, skills, and experience. There are sections for a resume of your working career, education, and other background. The connections grow from your direct connections to contacts to second- and third-degree connections to those who are linked to people you know. 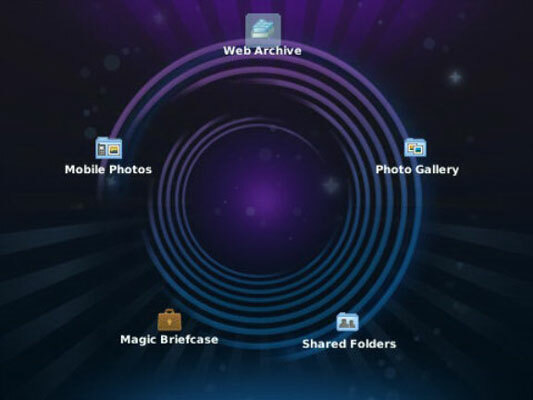 SugarSync is a very interesting adaptation of the concept of online storage, extended to the BlackBerry. It’s a place on the Internet (a cloud) — doesn’t matter where it’s located — that’s designed to hold backup copies of files for retrieval when needed. SugarSync combines secure online backup, file synchronization, remote access, and file sharing all in one. As an individual user, there are two parts: an app for your BlackBerry and a small program that installs on your computer; PCs and Macs are both supported. You can then instruct each half of the equation about what types of files or folders you want uploaded to the cloud. If you want more than the free 2GB of storage, you can get a range of other plans that currently maxes out at a whopping 500GB for $400 per year or $40 per month. Xobni, in case you haven’t figured it out, is Inbox spelled backwards. It’s a very powerful tool that is a professional snoop: it reads through your existing address book, and then sits and waits for every other clue it can decipher about the people you deal with in your business and personal life. Xobni is like a robot miner, automatically extracting phone numbers from e-mail signatures, anywhere in the body of a message, and from other sources. The information is placed in a contact form: the more data, the more details. By default, it adds to your address book spammers and unwanted communicants. There’s no way to tell Xobni not to pick up every possible contact. And there’s no way to delete any unwanted addresses either; the closest option is to hide a contact, which leaves them out of sight but not out of mind.